A new year often calls for a new start. This year, let's think in terms of nutrition. Too often do we get stuck in our ways of consuming overly processed, sugary foods. The number of American teenagers suffering from obesity has risen in the past two decades, increasing their risk of developing life-threatening diseases, such as heart disease, diabetes and cancer. Fortunately, there is still time for us to reverse our risks, and there’s no better time to start than now. But the truth is that the only way we can reverse bad eating habits is to learn how to prepare and cook nutritious meals ourselves. 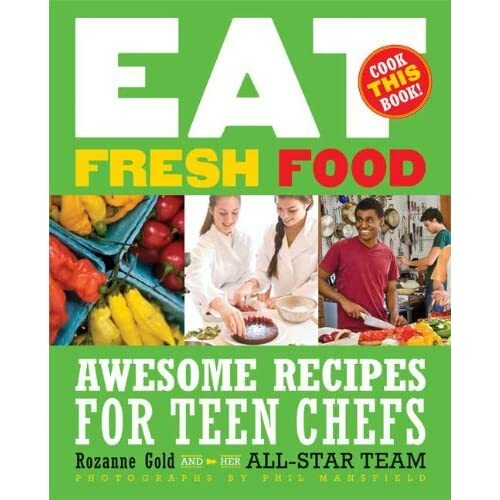 The new cookbook Eat Fresh Food: Awesome Recipes for Teen Chefs by award-winning chef Rozanne Gold and nutritionist Helen Kimmel follows five teenage aspiring cooks who learn under Gold’s instruction about how to cook using whole, fresh foods and avoiding processed ingredients. From pizzas to smoothies, burgers to snacks, teenagers can learn how to prepare the freshest and most nutritious meals without sacrificing taste or giving up favorite dishes.